Hole 14 runs right beside our Nature Trail. 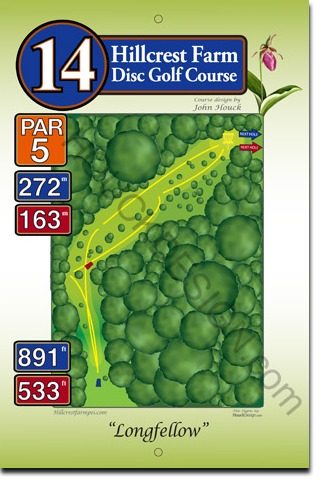 At 272 metres long, this par 5 hole is very long, but the fairway is lovely and wide. It angles right in a huge semi-circle through a belt of hardwood trees so you have lots of nature to keep you company!